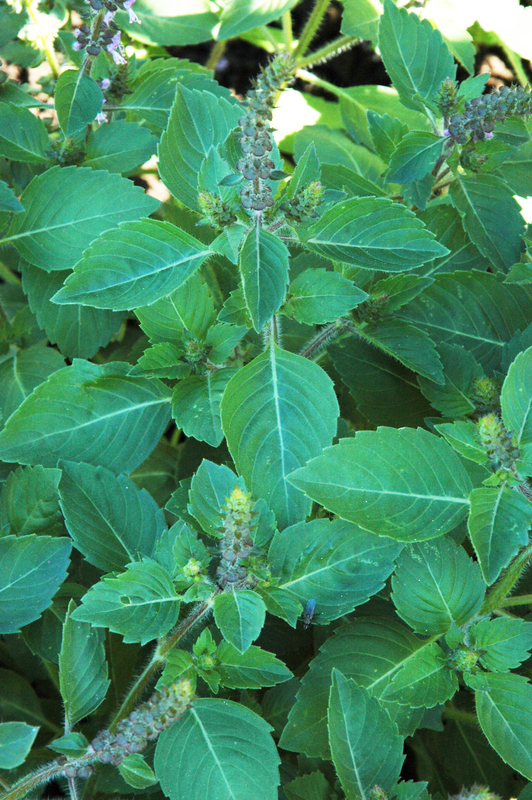 Distinctly fragrant tulsi basil that we have long used as a salad enhancer. The whole leaves are crisp and clove flavored, very cooling in summer salad. 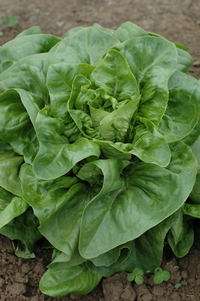 The immature bite-sized buds and their subtending pair of leaves are a beautiful topping for salad or desserts. Excellent pollen and nectar source for bees. We’ve grown this old Abundant Life Seed strain since 1983 under the assumption that it originated in Asia, which turns out to be incorrect. Attempts to determine the true origins of this strain have not thus far been fruitful, so we are left to wonder how it traveled from Africa to Port Townsend, WA to enter the alternative seed trade. Much better adapted to cool weather than other basils, especially tropical Holy/Sacred basil, O. tenuiflorum. Makes a terrific herbal tea. One of our favorite plants. Yes. Try It.